With the World Cup already underway, Brazil go into their first game of the World Cup as hot favourites, ready to get their campaign off to the best possible start. However, their first match is by no means an easy game for them. They come up against a strong Switzerland team, currently at 6th place in the FIFA world rankings, just 4 places behind Brazil. There isn’t much history between these two teams since they have only met in one competitive match before, during the 1950 World Cup, which ended as a 2-2 draw. They have been pitted against each other in friendlies since, the most recent being in 2013, where Switzerland came out on top. However, these two teams have undergone a lot of change since then. Switzerland are on the back of a good run of form, with 13 wins in their last 15 games since Euro 2016. They are armed with a very diverse squad, with many of their players in Europe’s top leagues. Sommer will be Switzerland’s first choice keeper in Russia and will have to be on the top of his game to deal with the deadly Brazilian attack. They are equipped with very strong full backs, with Ricardo Rodriguez and recently-signed Arsenal player Stephan Lichtsteiner. Their captain Lichtsteiner, who moved to Arsenal after 7 years at Juventus, will be a key player for Switzerland at right back, and will lead from the back trying to help try and contain Brazil’s attack while also posing an attacking threat down the wing. Their midfield will provide good defensive cover as well, with the likes of Valon Behrami and Granit Xhaka, another Arsenal player. Despite not having a particularly great season at Arsenal, he did impress in Euro 2016 and will be looking to do so again on the international stage at Russia. 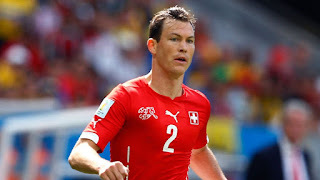 Switzerland’s main weakness is that they have been struggling to find a clinical central striker, with their usual choice, Hans Seferovic, not in a great run of form and was booed off by the Swiss fans earlier in the season. He did find the back of the net in their last friendly against Japan, so this should give him some confidence and may have helped him find his way into the starting 11. Brazil have a very promising chance of getting their hands on the World Cup, with a very strong squad at their hands. They will most probably use the 4-3-3 formation, which has been played with a lot of success recently for them. Brazil manager Tite has the luxury of two top keepers in his squad and needs to make a tough decision on whether to start Roma’s number one Alisson or Man City’s star keeper Ederson. Roma’s shot stopper will be the likely start for Brazil since he has been starting most of their games and Ederson does only have one cap to his name. Danilo will have his chance to impress at the World Cup, after PSG star Dani Alves wasn’t included in the 23- man squad due to injury. Many deem that Silva’s absence from the squad due to suspension was a pivotal factor leading to their 7-1 humiliation to Germany in the 2014 World Cup. His presence will be the key to a solid defence due to his experience and ability to lead. Alongside him, Atletico Madrid’s Miranda will probably be paired alongside him at the back as he has been a feature in their recent matches, but PSG’s Marquinhos will also be in contention. Widely regarded as one of the best left backs in the world at the moment, Marcelo’s attacking threat he poses should trouble all the defences he faces and should have a guaranteed starting place in their first eleven, but still faces strong competition from Atletico’s Filipe Luis. Casemiro will play as a holding role in the centre of the midfield, capable of making key tackles in the middle of the park. Brazil tend to play with Paulinho just in front, in a slightly more attacking role. To provide extra cover, Tite has the option of Fernandinho in the squad, who was a defensive rock for Man City in their incredible title winning season. However, I think they will go for a more attacking option by using playmaker Coutinho who will add more flair to the middle of the pitch, which may be needed as Switzerland could sit quite deep in the pitch, so Brazil would have to take the game to them. Coutinho has often been played on the wing, but Brazil do have a lot of other options up front, so I can see him playing just a little further back, in a midfield role. Brazil’s poster boy will most likely be deployed out on the left, where we will get to see his truly brilliant dribbling in action. Willian has been impressive lately for his country and he is most likely to be used on the right. In the centre, Roberto Firmino and Gabriel Jesus are the most likely contenders, with the latter probably going to be pipped ahead of Firmino since he is slightly more clinical for his country, with 10 goals in 17 games. Brazil do have a wealth of attacking talent at their disposal, with the likes of Taison and Fred most probably going to be on the bench. This should be a tough game for Brazil, but it is one they should be winning. 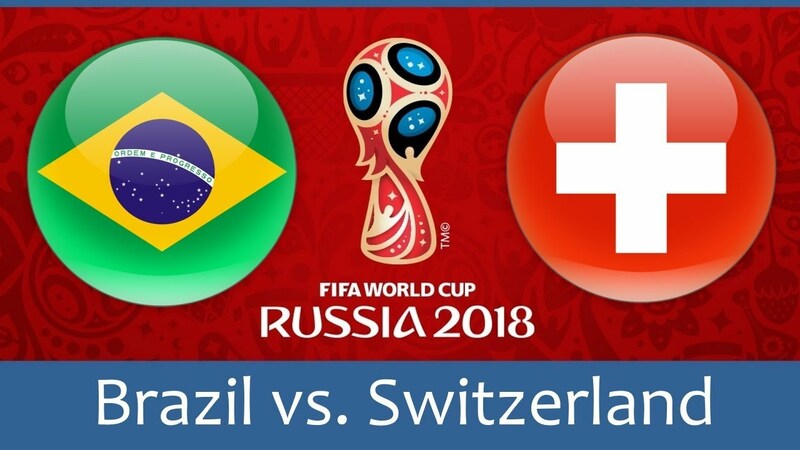 Switzerland are usually quite strong defensively, so it may be difficult for Brazil to break them down. But with the strength of Brazil’s attack, I predict them to win 2-0.